Over the weekend, one of Australia’s wildest parties, Listen Out arrived in Brisbane. I was eager to attend, impressed with diversity of both upcoming Australian acts, and a handful of international powerhouses. Opening my Listen Out experience was upcoming electro pop sensations Haiku Hands. Hailing from Sydney, the collective brought flair and an electro punk attitude. Performing a set filled with choreographic dances, comedic moments and buoyant beats, Haiku Hands propelled the day into Elysium. A stand out moment was when the crew smashed out live renditions of their star striking hits, ‘Not About You’ and ‘Jupiter’. Following Haiku Hands were Poloshirt, the supergroup composed of Winston Surfshirt and Polographia. Channelling the psychedelic jazz of Winston Surfshirt and the ambient, electronic influence of Polographia, Poloshirt delivered spectacular performances of solo tracks ‘Sly’ and ‘Ali D’, as well as a few tracks from their recently released EP, POLOSHIRT. 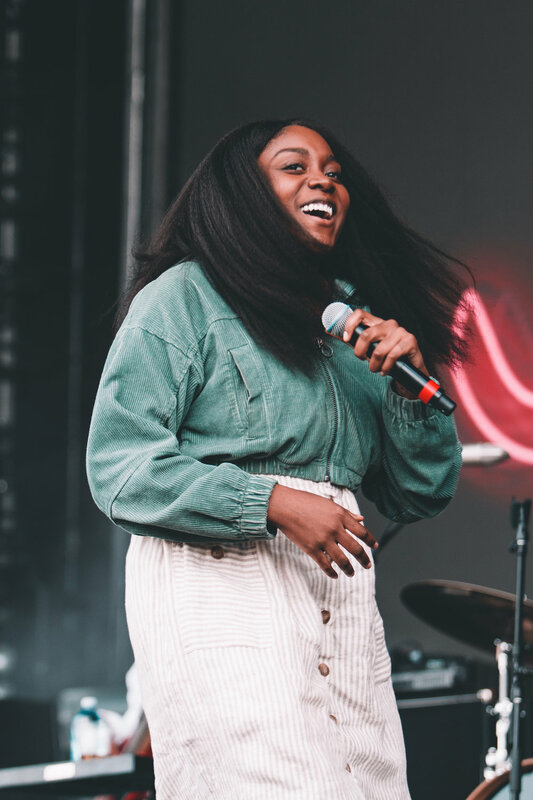 Chicago hip-hop artist Noname delivered a stellar set. Playing songs from both her Telefone mixtape and her recently released debut album, Room 25, Noname moved and grooved Brisbane. Overall, her set was elating, empowering, and filled with transcendent and introspective RnB. US hip-hop ensemble, BROCKHAMPTON were a highlight of the festival, playing a collection of high-energy tracks from their Saturation mixtapes and their newly released debut album iridescence. Raw, intense tracks such as ‘WEIGHT’ and high octane, edgy tracks like ‘GOLD’, ‘QUEER’ and ‘J’OUVERT’ were excellent moments. BROCKHAMPTON had the mosh pit dancing and screaming out the lyrics in unison. Following with another energetic set was Skepta. 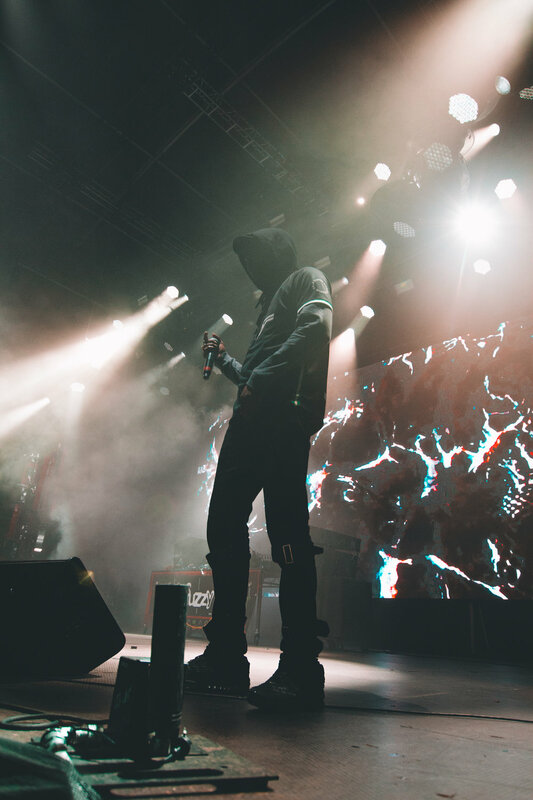 The UK grime lord played a number of intense tracks from his extensive discography with the crowd particularly going wild to the anthemic ‘Shutdown’. A$AP Rocky prolific performance followed next. Jam packed with intense elements, the American rapper had it all. With a stage dressing cluttered with crashed cars positioned precariously and pyrotechnics, A$AP Rocky matched the aesthetic forged in his newest album TESTING. The accomplished artist boasted an amazing stage presence resulting a set that was passionate and emotive. Another personal highlight included Skepta returning to the stage for a feature on A$AP Rocky’s ‘Praise the Lord’. Listen Out 2018 was one of the craziest festivals that I have had the pleasure of attending. From the absolute intensity of A$AP Rocky and BROCKHAMPTON, to the dance-heavy Haiku Hands set, Listen Out was awesome!